Among the genres in which Giacomo Ceruti worked throughout his career, portraiture occupies an important position. Although his style was realistic and carefully meditated, this aspect of his work has not attracted the same interest in the specialist literature as his paintings of lowlife figures and beggars. Ceruti’s sitters included leading members of society as well as more popular characters, painted without any concessions to idealisation and with great spontaneity. Among these works are male and female portraits of members of the Fenaroli, Lechi, Avogadro, Cattaneo and Bargnani families, among others. Ceruti generally framed his sitters in ovals, as in the present pair, and his models are depicted turning their heads towards the viewer, presented more than half-length against plain backgrounds or with simple decorative motifs such as a curtain or an architectural element. 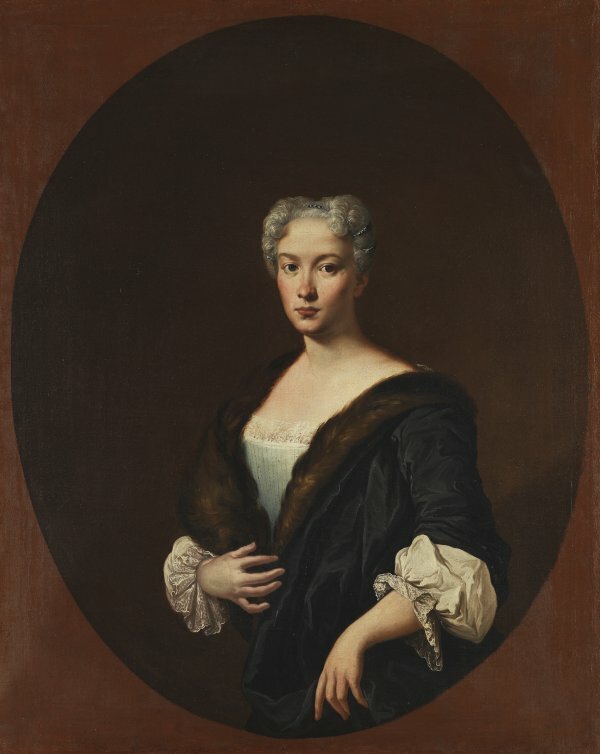 Among the earliest known portraits by the artist is Young Woman from the Lechi Family, who has been tentatively identified as Maria Gertrude Lechi, in a private collection in Brescia, and a portrait of Giovanni Maria Fenaroli, also in a private collection. The present pair was published by Camillo Boselli in an article published in 1954. Two years later both portraits were included in an exhibition in Milan which was the first to include previously unpublished works by the artist. These two canvases were formerly in the Martinengo collection in Brescia, from where they passed to the Barboglio collection in the same city, where they were to be found in 1953. They were later in another private collection before being auctioned in Milan in 1973. In 1976 they entered the Thyssen-Bornemisza collection via the art market. These two canvases constitute a fine example of Ceruti’s portraiture. Painted on rectangular canvases, the artist painted an oval within the canvas into which the sitters are set, leaving the corners — which would have been covered over by the frame — in a reddish-ochre tone. Ceruti outlined the forms of his sitters against a smooth, dark background with the faint shadows of their bodies falling on the right. The light, pale flesh tones and soft, clear colours of the clothes are all elements used to highlight the figures. In the case of the young man, his pose is notably informal and relaxed and he wears his waistcoat and frock coat unbuttoned. He wears yellow gloves with one hand tucked inside his waistcoat while his expression and mouth are both expressive, with a slight hint of indulgence. The woman’s hands are more elegantly arranged and her gaze creates a greater sense of distance. Her hair is perfectly arranged and fastened with small hair ornaments and she also wears informal dress of a type generally worn at home rather than on social occasions. Mina Gregori dated these canvases to the early 1740s.